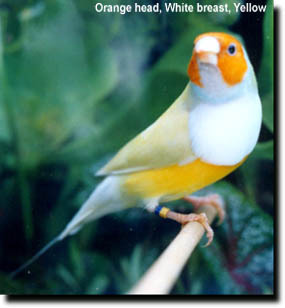 Introduction of a newly acquired bird into your home or aviary can be a stressful time. The following guidelines will help make this period of transition much less stressful. 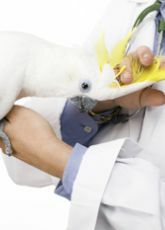 Establish a relationship with an AVIAN veterinarian before you need one. 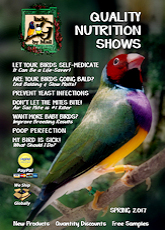 Quarantine your new bird for a minimum of thirty days, as far from other birds as possible. If the bird shows any sign of illness, take it to the vet immediately. Contain your bird in a Cage of proper size. Place a dish of water on the floor of your cage. Watch to see if the bird drinks. If it is blinking its eyes or holding its wings away from its body, place its beak into the water dish immediately. This behavior is a sign of dehydration. The number one cause of death when bringing home a new bird is the birds inability to find water! If the bird is to be introduced into an aviary, do so early in the day so that it may find its way around before night. Offer food and water in several places. Watch for aggression from dominant birds. 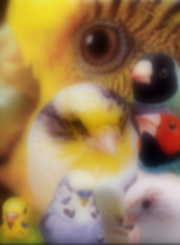 If aggression is a problem, remove the dominant bird and replace it after the new bird is well established in the aviary. Birds often develop watery droppings after the stress of a move. I use Sparks in place of drinking water for two days to help replace the loss of electrolytes. Pedialite (available in the baby section of your grocery store) my also be used. It is also a great idea to leave a night light on for them. Ask the person from whom you buy your bird for a cup or two of their seed mix. Slowly mix it with your seed, while they adjust to their new home. Allow it quiet time to explore its new home. Disturb it as little as possible the first couple of days. It generally takes 24 to 48 hours for the new bird to bounce back and look its best.